With good restaurants, superb local wineries, a hearty dose of culture, beer festivals, art galleries and some beautiful parks, Stuttgart has all the elements of a big city destination. The variety of things to see and do in Stuttgart will impress visitors from all walks of life. Families can be swept up in the open spaces and thoroughly entertained at the planetarium and Wilhelma Zoo. 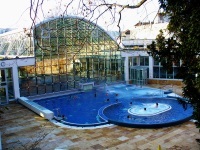 The city's mineral-rich pools, saunas, hot tubs and spas lure those in search of health and relaxation. 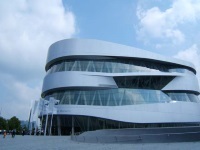 Car enthusiasts can enjoy the Porsche and Mercedes-Benz museums never cease to enthral. 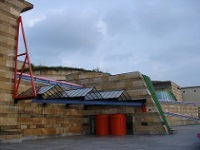 Other attractions in Stuttgart include the city's impressive art galleries. The Kunstmuseum Stuttgart is housed in a building which is a work of modern art in itself. The Old and New State Gallery houses some real masterpieces dating from the 14th to the 19th centuries. The Palace Square, or Schlossplatz, is a must for visitors as it is the symbolic heart of the city, a popular meeting and greeting spot, and it adjoins the remarkable New Palace, a Baroque fortress built between 1748 and 1806. Stuttgart can get swelteringly hot in summer and bitterly cold in winter, so the best time to visit is in the shoulder seasons, in autumn or spring. At the end of August and during the month of September visitors can join the fun at the Wine Village Festival, tasting more than 200 different wines, or enjoy music and merrymaking at the Cannstatt Beer Festival, the second largest beer festival after Munich's Oktoberfest. The city shimmers in springtime, as do the parks and surrounding vineyards, which play host to a plethora of different festivals.